Happy New Years to all and welcome to 2015! 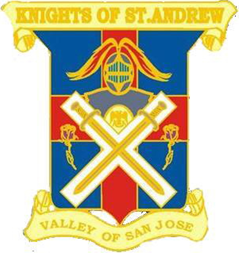 As we close out 2014, a new corps of officers is soon to be installed (Tuesday, January 27th), and it is time to look ahead to another wonderful year in the Valley of San Jose. I am so proud for all we accomplished this past year and I look forward to new achievements in 2015. Our Valley started this past year on a happy and exciting note with the Installation of new officers. That emotion was quickly stifled though, as we lost a dear friend, Bro. Bob Rowan, our General Secretary. Bro. Bob brought much to our Valley. And his friendship and leadership was greatly missed with his passing. Trying to keep the Valley administratively going was like running in place, but I want to dearly thank Bro. Hank Vlcek, who stepped up to take the reins as General Secretary, and who helped us get back on track. Although a huge learning curve, our Valley did not lose stride and we were successful in all that we pursued. As I stated earlier, our Installation is just around the corner (Tuesday, Jan. 27th) and I thank and congratulate all the officers for taking leadership roles within our Valley. Last Installation was disappointing in how few of our members were in attendance. I hope this year, many more of you will attend. It is our annual celebration of the new corps of officers and the time to celebrate the New Year. A huge thank-you to our four outgoing Masters, who made 2014 one of the best years our Valley has experienced. They can all be very proud of how they led our Valley. This past year we held our 4th Annual Grand Master recognition “Festive Board” where we honored our Grand Master, his lady and his special project. We look forward to this year in having Most Worshipful Russ Charvonia and Lady Linda join us for this year’s event. We were also very pleased this past year, to host our Grand Commander, Ill Ron Seale. His presentation was spell binding and we were able to exhibit to him just how strong our Valley is. Thanks to Bro. Gregg Hall who made the event possible. This year, we will again hold two “Nights of Instruction” banquets chaired by Bro. Chuck Cowden. Bro. Richard Fisher is again chairing our Scholarship Committee, as we will honor another graduating senior on their way to college. This month, at our Stated Meeting, we will again honor the Masters of our Blue Lodges as they complete their term sitting in the East of their particular lodge. We exist only because our Craft Lodges are strong and we wish to honor the men who have held our lodges together. This has become an annual event, and I hope you will all come out and help us honor those who have kept our heritage strong. We will continue some traditional events like our Maundy Thursday Celebration, Sweethearts Night, as well as 25 year and 50 year membership celebrations. And naturally, we will hold our Semi-Annual Reunions for new members this Spring and Fall. Our degree teams continue to present outstanding and meaningful degrees. I thank each member of our casts for their dedication to our Valley. Now, we only need more candidates to witness the beautiful work being performed by our degree teams. This past year, we brought in approx. 20 new members. Hopefully, this year, that number will double. There are 25 lodges that make up our Valley’s geographic area. 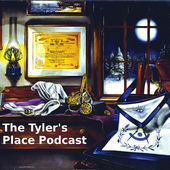 Now, I know that every one of you know at least one member of your lodge that is not a member of the Scottish Rite. Wouldn’t it be wonderful, if we had a candidate from every one of those 25 lodges that make up our Valley? Do I dare hope for two? You can help our Valley grow. 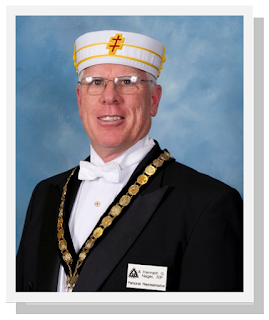 Don’t be afraid to expound on the great work of our Valley and invite that one member of your lodge to join with us. Supreme Council, will again be in session this year. We will have the opportunity to recognize more of our deserving members as we elevate them to the rank of Inspector General Honorary or 33 Degree, as well as bestowing the rank of Knight Commander of the Court of Honour or KCCH. I look forward to hearing the results. The Masters of our four bodies have promised an exciting year, including a few social events to be sprinkled throughout the year. They have their work cut out for them to duplicate what we did this past year, but I know they are up to the task. This past September, a number of us traveled to New Orleans for an outstanding week. Bro. Randy Downey put together a great week of activities including a meeting with our Brothers from the Valley of New Orleans who treated us to some good food and fellowship as well as exemplifying their Scottish Rite version of the First Degree. It was a trip of a lifetime. Thanks Randy for all your efforts. Please come out and participate in those activities that get scheduled for this year. Our Foundation is still very strong, but we can always use a new contribution here or there to continue our work. Our clinic continues to do amazing things with our kids and I am very proud of what is being accomplished. For the past couple of years we have also made sizable contributions to the Grand Master’s project (Raising a Reader), Masons 4 Mitts, recognition of our DeMolay leadership at their Annual Conclave as well as our Scholarship program to which I have previously spoken. We also made a contribution to the Rainbow Girls in their quest to purchase a new sound system for their Grand Assembly. (This year, the girls have chosen the Scottish Rite Language Disorders Clinic as their state project. Please help recognize them for their efforts on our behalf). We were also pleased to be able to make a substantial contribution to the Supreme Council’s House of the Temple, refurbishment project during our Grand Commander’s visit. The last item I would like to speak to is communication. Please let us know how we are doing. What would excite you to return to an active role? Our Valley is here to support you, but I need to know your thoughts and desires. Please contact me when you think we are failing. Let us know also, when you think we are doing well, but most importantly communicate. You are a valued member and we value your input. The Valley is only successful if you think we have done right. Let us know!